Stories are about people. It is the characters we fall in love with, root for, or sometimes dislike. We notice their quirks, sense of humor, and mannerisms. We relate to their failures, triumphs, and dastardly deeds. But, it is the characters that keep us turning the pages. How we develop characters differ from writer to writer, but we all start with a vision, even if it’s sketchy. Some characters, we envision before our pens strike the paper, others appear as the plot thickens. However, developing a character outline or sketch as part of your planning process will not only keep the flow of words moving forward, but provide well-rounded characters that keep readers engaged. When I began writing fiction, I scoffed at the notion that a character, you hadn’t planned could walk onto the page, until it happened to me. An Irish American man named Richard Donovan stepped on the plane and took a seat next to my main character. Without taking my fingers from the keyboard, I understood the relationship he’d have with my main character and where he fit within the plot line of my story. I still had work to do on Mr. Donovan if I wanted him to be anything other than a fly by night (no pun intended) aberration. Characters are not just a name in a story. They represent a person we want our readers to understand, and relate to. Fully developed characters take thought and planning. We need to know what makes them tick if we have any hope of knowing how they will react or behave in the circumstances of our story. Whether you clip photos from magazines, keep index cards or a notebook, developing a character is more than physical description. 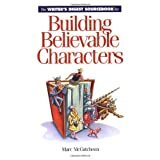 So, I thought I’d share my favorite tools for building and developing characters. 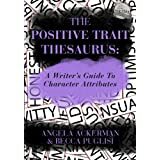 Angela Ackerman has a wonderful post today, 3 Quick Tips to Help Readers Connect to Your Hero. 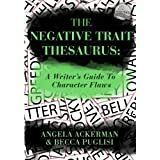 In addition, Angela and Becca Puglisi have written two books specifically designed to help you define your characters. Check out their Writers Helping Writers bookstore for complete details. Matt Heron from The Write Practice explains in detail, Scrivener and with a free 30 day offer, now may be the time to give it a try. What method, tool, or resources do you use when developing your characters? Tell me what works or doesn’t work for you. I love hearing from you. Talk to me and tell me your story. So glad you stopped by and Thanks for the ping back.